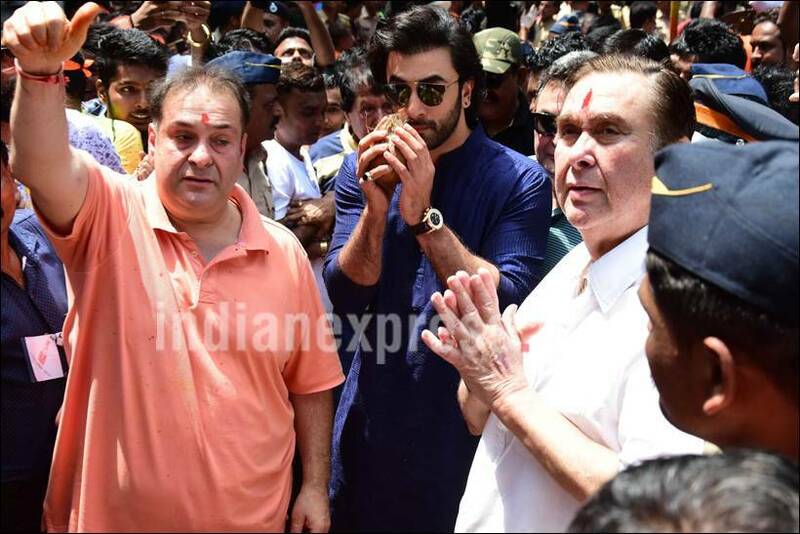 Ranbir Kapoor along with daddy Rishi Kapoor and uncles Randhir Kapoor, Rajeev Kapoor and his RK Studios family took the bylanes of Mumbai to conduct the auspicious ceremony of Ganesh Visarjan. The youngest Kapoor looked as excited as any other devotee and greeted his fans with a warm smile during Ganapati immersion procession. 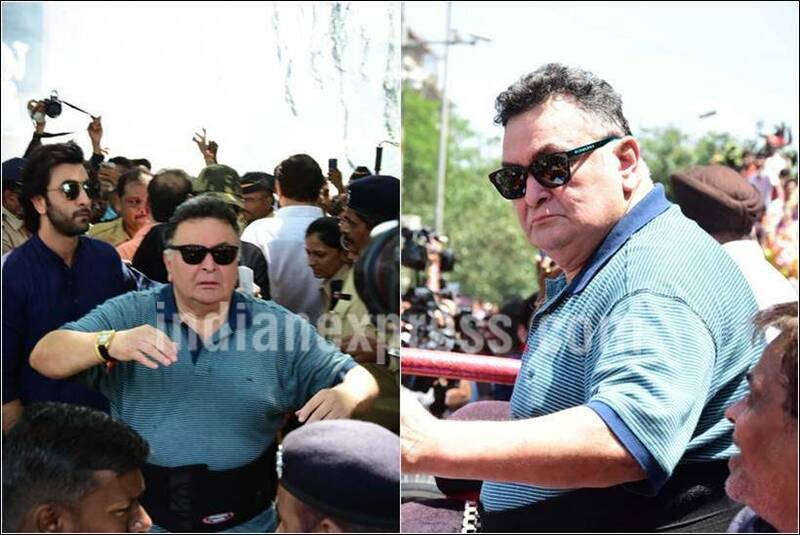 While son Ranbir looked all chilled out, Rishi Kapoor was busy managing things for the procession. 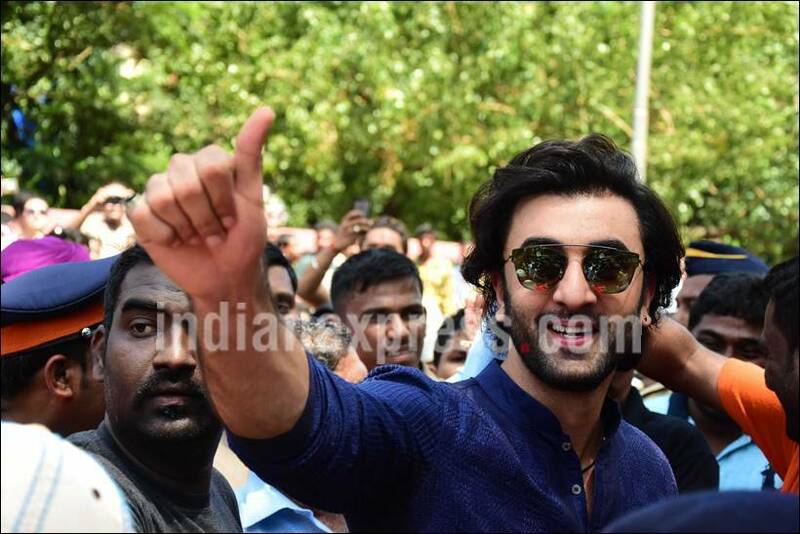 He looked a bit hassled with the crowd which gathered to witness the grand Ganpati procession of the Kapoors. 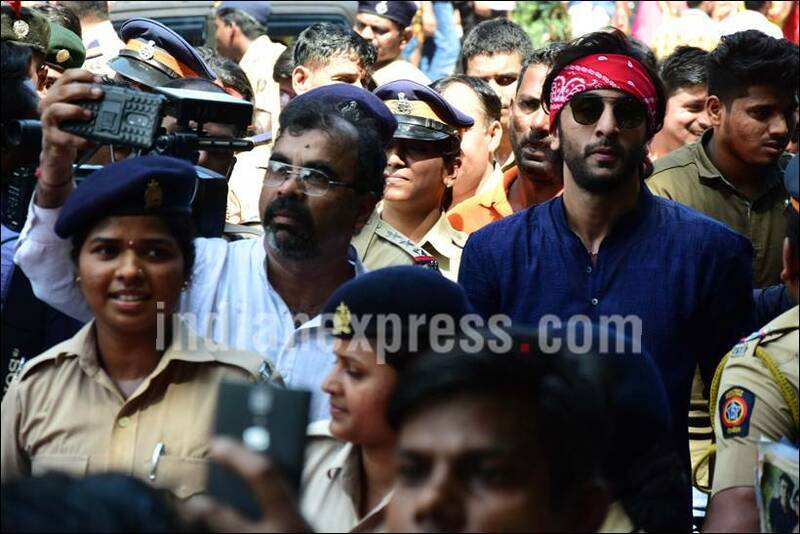 With red bandana on his head, Ranbir joined the bandwagon of Bollywood celebrities who celebrated the festival with great fervour and excitement. The Jagga Jasoos actor looked dapper in his traditional outfit and was all smiles as he walked down the streets of Mumbai amidst a huge fanfare. Ranbir Kapoor will next be seen in Rajkumar Hirani's biopic on Sanjay Dutt. The film also stars Sonam Kapoor and Anushka Sharma. 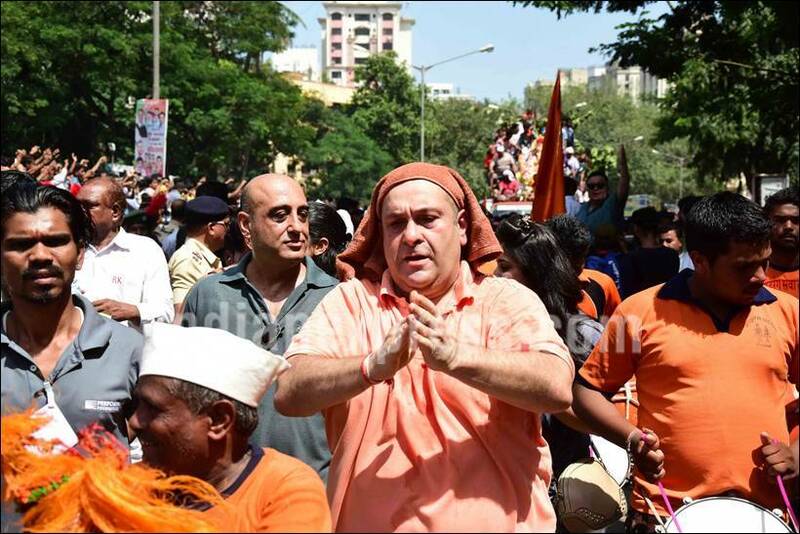 Rishi Kapoor was spotted a bit annoyed with the crowd during the Ganpati Visarjan ceremony. Rajeev Kapoor, son of legendary actor Raj Kapoor, offered his prayers to Lord Ganesha as he bid farewell to him on Tuesday. 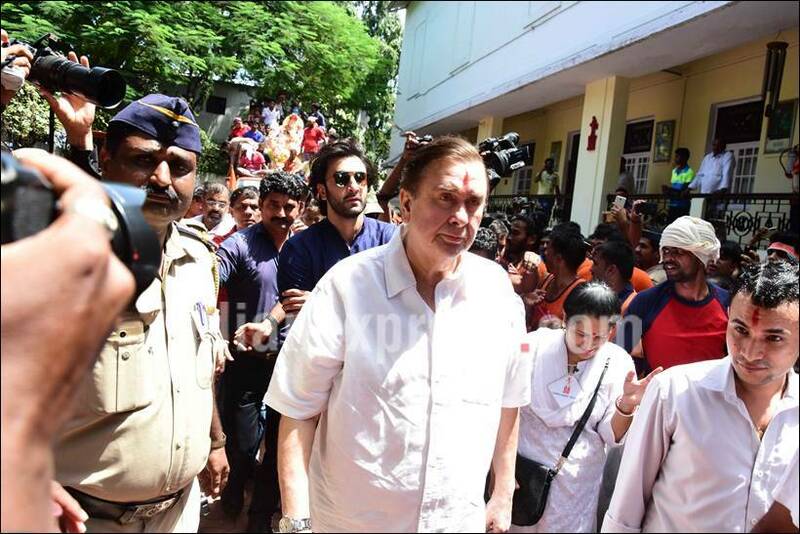 Karisma and Kareena Kapoor's father Randhir Kapoor made his presence felt during the Ganesh Visarjan. The actor has always said that his is a family which enjoys each other's company and loves to spend time together. 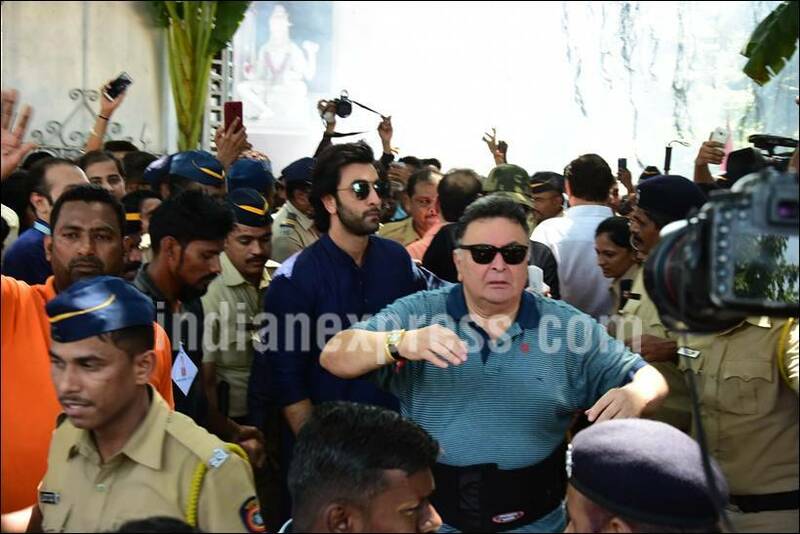 Ranbir Kapoor's presence at the Ganesh Visarjan procession with daddy Rishi Kapoor made it clear that there is no tension between the father-son duo. Earlier it was being said that Ranbir is upset with Rishi for reacting on the box-office failure of Jagga Jasoos.